Following is a scanned document. Efforts were made to make the document true to original document. However, this is unofficial. FRIENDS OF WYALUSING STATE PARK, INC. Section I. The name of the corporation is Friends of Wyalusing State Park, Inc.
a. 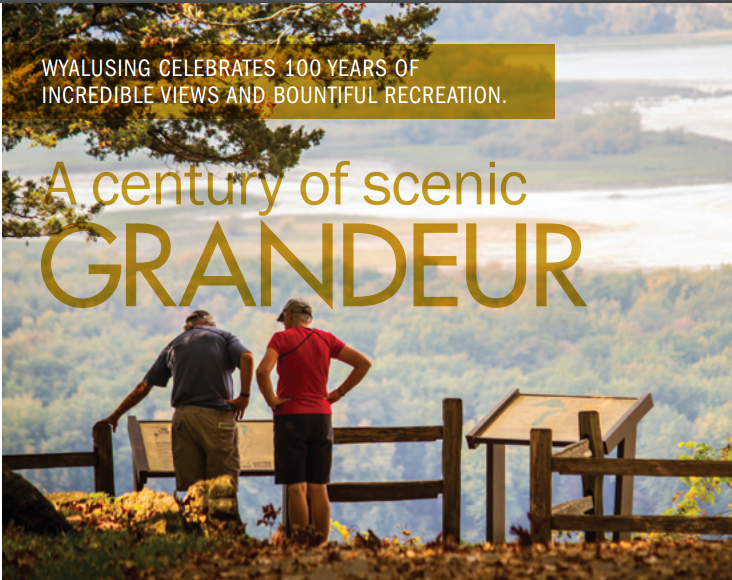 Sponsor and support volunteer interpretive services and environmental education activities, seminars, lectures, and other activities that contribute to the interpretive and educational programs of the Wyalusing State Park. b. Provide for the distribution or sale of appropriate interpretive materials, such as books, pamphlets, and photography at Wyalusing State Park. c. Provide financial support to·the Wyalusing State Park for the furtherance of its interpretive programs, facilities, and resources, raising revenues through such methods as membership fees, donations, sales, and special events. a. Regular Membership: Any person 18 years of age or older, of good character and dedicated to the purposes of this organization shall be eligible for regular membership upon acceptance of his or her application by the Board of Directors and payment of such dues and initiation fees as may be established by the Board of Directors. A regular member is entitled to one vote at a membership meeting. b. Family membership: Any person eligible to be a regular member, together with his or her spouse and dependent minors, shall be eligible for family membership upon payment of such dues as may be established by the Board of Directors. Each family membership is entitl~d to two votes at a membership meeting. .
C. Honorary membership: Any person eligible to be a regular member shall be eligible to be an honorary member by resolution of the Board of Directors. An honorary member by resolution of the Board of Directors. An honorary member pays no dues or initiation fees and is not eligible to vote. d. Associate.membership: Any person eligible to be a regular member may become an associate member upon acceptance by the Board of Directors and payment of such dues and initiation fees as may be established by the Board of Directors. Such fees will be less than for regular members. An associate member is not eligible to vote. e. Senior Membership: Any person 55 years of age or older may be eligible for a senior membership, upon payment of such dues and initiation fees as maybe established by the Board of Directors. Each senior member is entitled to one vote at membership meetings. f. Student membership: Any person 12 years of age or older, enrolled as a full-time student, shall be eligible for student membership upon payment of such dues and initiation fees as may be established by the Board of Directors. Each student member is entitled to one vote at membership meetings. g. Founding Member membership: Any person which meets any of the above criteria shall be eligible to be a founding member upon acceptance by the Board of Directors and payment of such dues and initiation fees as may be established by the Board of Directors. Such fees will be at an increased rate, available only in -the first year of organizing The Friends of Wyalusing, and will be designated as a Founding Member in any written newsletter, written script, etc. for the lifetime of the member. a founding member will be entitled to one vote at a membership meeting. Section 2. All members, of all classes, shall be eligible to receive all annual or other reports of the corporation and all members may attend the annual or other meetings of the corporation. Only regular and family and senior and.students members may become officers or directors of the corporation or vote in any election or on any matter submitted to the membership for a vote. Section 3. Any member may withdraw from the corporation upon giving notice in writing to the Board of Directors. Any member may be removed from membership upon good cause and by unanimous vote of the Board of Directors. Section 4. Members will be permitted to purchase any sales items from the corporation at a 10 percent discount. voting membership of the corporation. At the time of the adoption of these by laws,the existing Board of Directors shall designate all officers to serve one year. Thereafter, at each annual meeting, directors shall be elected to succeed those directors. Each director thereafter shall take office on January 1st following his or her election and shall serve for one year, or until a successor shall be elected or appointed. Directors may not serve for more than two consecutive terms. Vacancies on the Board of Directors shall be filled by selection and appointment by a majority of the voting members at a regular meeting. Section 2.The Board of Directors named in the Articles of Incorporation shall constitute the initial Board of Directors. Section 3. The Board of Directors shall meet as soon as practical after newly-elected directors take office and as such other times as the president may call a meeting, or at any time that the property coordinator, with the concurrence of three or more members of the Board of Directors, may request a meeting. a. President: The president shall be a member of the Board of Directors and shall preside at meetings of the board and the membership. b. Vice President & Public Relations: The vice president shall be a member of the Board of Directors and shall preside in the absence of the president. In addition to the duties of the Vice President, the public relations officer will make all news releases for meetings. d. Treasurer: The treasurer need not be a member of the Board of Directors and shall not be an employee of the Department of Natural Resources. Unless a member of the board, the treasurer shall have no vote in actions taken by the board. The treasurer shall administer the finances of the corporation and supervise the keeping of the corporation's financial records. The treasurer shall submit an audited annual financial statement to the board for presentation and approval at the annual meeting. Section 5. The Board of Directors shall formulate all the operational policies of the corporation and shall formulate its activities through the property coordinator and a business manager if one is employed. The powers of the board shall be limited only by law, the Articles of Incorporation, these bylaws, and the policies of the Department of Natural Resources. Section 6. The property coordinator shall be the superintendent or such other person as the superintendent shall appoint to this position. The term of office shall be until replaced by the superintendent. The property coordinator shall serve as the Department of Natural Resources representative to the Board of Directors and shall advise the board on all program needs. The property coordinator shall meet with the board, but shall have no vote on actions taken by the board. The property coordinator shall act as an adviser on all publication activities. The property coordinator shall not sign checks or legal contracts as a representative of the corporation. The property coordinator shall supervise the day-to-day business activities of the corporation through the business manager, if any, submit to the board such reports of its affairs as may be requested, and submit an annual report to the Board of Directors at each annual meeting. Section 7. A business manager may be appointed as a volunteer or hired by and serve at the pleasure of the Board of directors. The business manager shall serve as the corporation's on-site Liaison with the Department of Natural Resources and shall represent the corporation in all business activities. The business manager shall authorize the expenditures of the corporation's funds· for sale publications, printing,· stationery, travel, employment of clerks, and incidental expenses incurred in the conduct of the corporation, provided that no individual expenditure exceeds the sum of $100 without the prior approval of the board. or through the authorized budget. The business manager shall hire and discharge all employ,ees of the corporation and shall conduct those business transactions necessary to hire and discharge. The business manager shall be the immediate supervisor of all persons employed by the corporation, except when a person is hired for specific interpretive duties, at which time that person shall be supervised by the property superintendent or interpreter. Section 8. The Board of Directors may select and appoint an advisory committee of interested scientists, historians, and friends of Wyalusing State Park, available for consultation on matters of the corporation and technical questions. Committee· members should represent the principal fields of the corporation's endeavor and should be invited and encouraged to offer suggestions and criticisms of the policies and work of the corporation. Members of this committee shall hold office for one Year, subject to re-appointment. All immediate past directors shall serve·on this committee for one year. The superintendent of Wyalusing State Park, unless designated .as property coordinator, shall at all times be a member of this committee. ·Any number of persons may serve on this committee. Inactive members may be replaced upon notice by the Board of Directors. Section 1. The corporation shall hold an annual meeting in an appropriate place during the month of November. Notice of the time and place of such meeting and its agenda shall be given by mail to all members of the corporation. Other meetings may be called by the Board·of Directors or by the written request of ten% of the members of the corporation. Section 2 A quorum is not required at meetings of the members. The president. shall conduct meetings. Only voting members present may vote on the election of directors or other motions made at meetings. All meetings will be conducted according to Roberts Rules of Order. Section 3. At the annual meeting, the property coordinator shall present the annual report of the corporation's activities and its plans for the future. The treasurer shall present a financial report. Directors shall be elected at the annual meeting in accordance with Article III, Section 1 of these bylaws. Nominations for such positions shall have been made by the president on behalf of the Board of Directors and included in the notice of the annual meeting. Other nominations may be made from the floor at the meeting. Those nominees receiving the highest number of valid votes cast will be elected; a tie vote will be broken by the president. All Monies received from membership dees and the sale of publications, or derived in any manner from the business operations, of the corporation, shall be deposited in an operations fund and shall be used for the support of Friends of Wyalusing State Park and its missions and activities; publication of technical and popular publications;the development of the library and interpretive center; purchase of sales publications, stationery, miscellaneous supplies and equipment, travel expenses, secretarial employment; and other miscellaneous expenses incurred by the corporation in the usual course of business. Money received by donations for specific purposes shall be expended only for the purposes specified by the donor. Section 2. The corporation shall maintain all funds in any bank or savings and loan association whose deposits are insured by an agency of the United States. The Board· of Directors shall determine the financial institutions used for this purpose. All checks drawn from checking accounts and withdrawals from savings accounts shall require the signature of the treasure and/or president. Section 3. No income of the corporation shall be distributed to its directors or officers. Reasonable compensation or wages may be established for services rendered or work performed by officers and employees of the corporation as approved by the Board of Directors. Section 1. The principal place of business of the Friends of Wyalusing State Park shall be in Bagley, WI. Section 2 The Board of Directors may adopt a corporatt: seal as it sees fit. Section 1. Power to repeal or amend these bylaws and to adopt additional bylaws is hereby delegated to the Board of Directors, and may be executed at any meeting of the board provided that proper notice has first been given to the individual directors by mail at least one week before the meeting. Such action must be executed by a two-thirds vote of the directors present. These bylaws also may be amended by a majority vote at any duly noticed meeting of the members at which a quorum is present. Sections 1 In the event of the dissolution of the Friends of Wyalusing State Park, or any change to the bylaws which allows engagement in activities not directly related to the missions and activities of Wyalusing State Park or the State Park and Forest System, all net assets shall be transferred to the Wyalusing State Park gift and onation account. 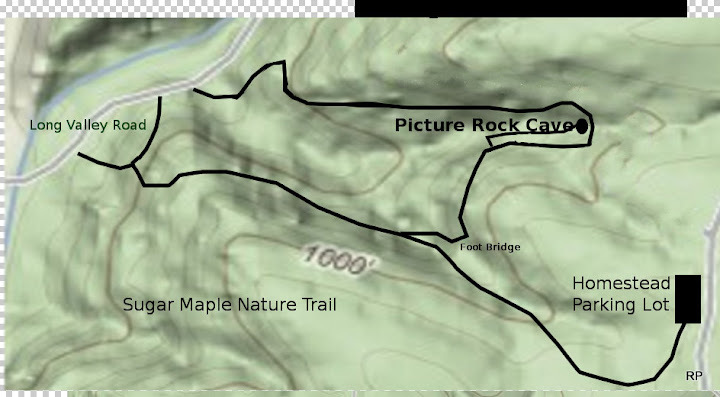 Any portion of funds donated for specific purposes at Wyalusing State Park will be so designated to the extent possible.